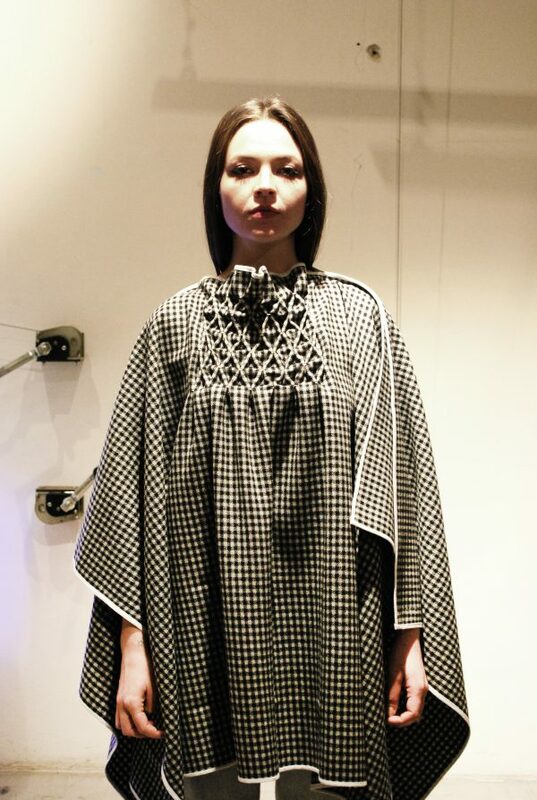 One-of-a-kind geometric, checked cape. Open-side slits and white bound hem. Features honeycomb handmade stitch. 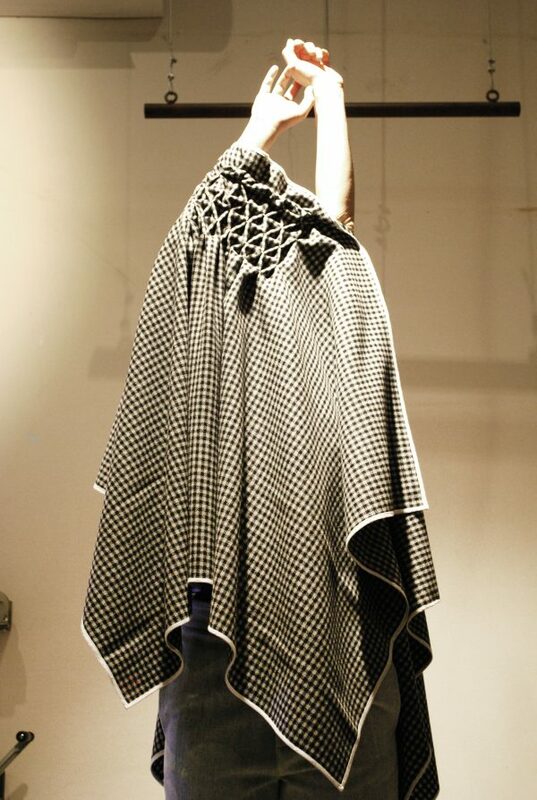 Handmade in Florence, Italy using fabric from Tuscany. Hand wash in cold water. Do not use washing machine. 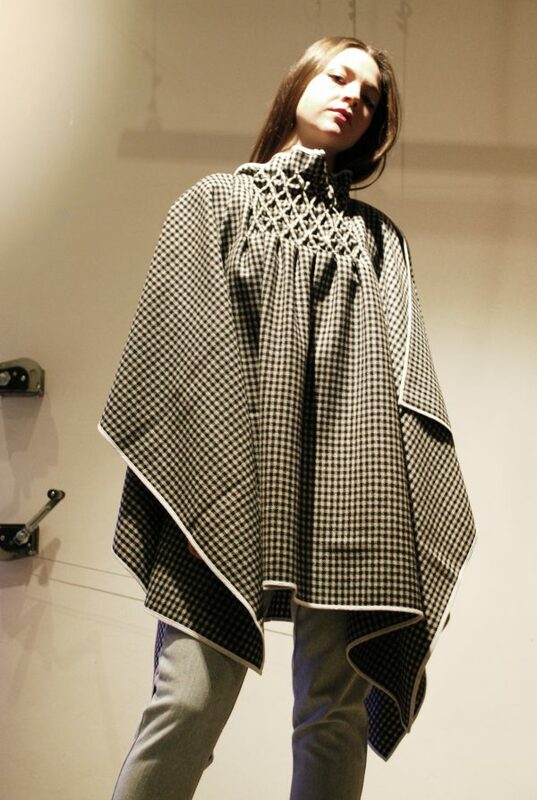 Lie flat to dry, iron medium for best results. Be gentle with the hand-stitching at the top of the cape.